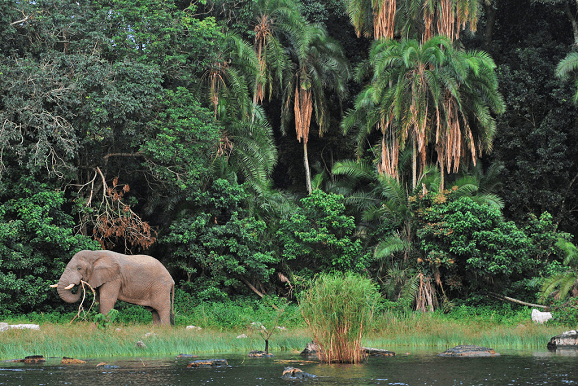 Africa Tours: Everything You Need To Know About Rubondo! Imagine a Jurassic Park without the terrifying dinosaurs – an uninhabited island, untouched by human presence (well, mostly), dense forests, rolling grasslands, sandy beaches and magnificent wild animals, albeit the harmless sort! Welcome to Rubondo Island in Tanzania – a virgin paradise on earth for wildlife enthusiasts, nature lovers and the eco-tourist alike! 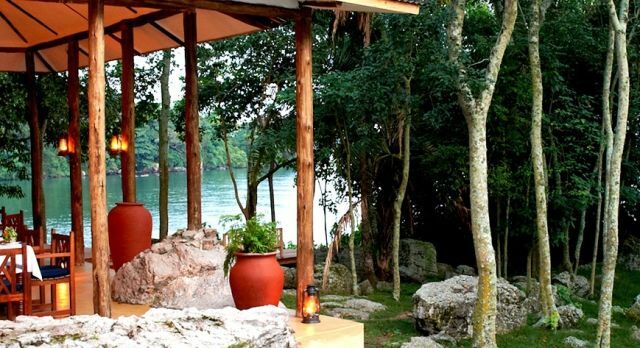 One of the glittering jewels in Tanzania’s exotic crown, Rubondo Island lies in the south-western extreme of the enormous Lake Victoria – the source of the great Nile. All of 25,000 hectares, Rubondo was formed many centuries ago, when volcanic activity forced four different hills into existence and linked them together through isthmuses. The view from the Rubondo Island Camp‘s treehouse. With more than three-fourths of the island covered in dense forests, it is not surprising that the island became home to various animal species and especially birds. 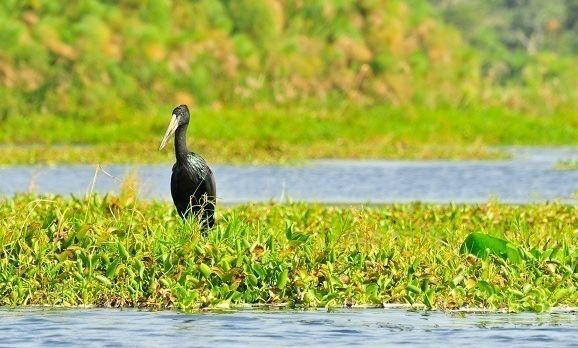 Rubondo has more than 200 species of birds! Of course, this wasn’t always so – Rubondo was granted national park status only in 1977. The 400 odd fisherfolk of the island were rehabilitated to protect and preserve the natural order of things for the many animals who called the island home. Between 1966 and 1969, about 16 chimpanzees held captive in zoos all over the world were introduced to Rubondo, along with giraffes, elephants, suni antelopes and the red colobus monkey. The animals found themselves right at home with the vervet monkeys, hippos, genets, otters and bushbucks, native to the island. Ancient trees stand tall in welcome as you enter into the wilderness of Rubondo. Birds chirp in greeting and often the elusive sitatunga antelope lurks in the papyrus swamps of the west coast, suspiciously watching the visitors. Watch tall giraffes walk lazily across the grasslands, baby elephants loitering playfully around their herds, and hippos wandering unperturbed near the water. Beware the crafty crocodile, playing dead as it soaks in the sunlight on the beach! A trip to Rubondo Island can be a thoroughly exciting adventure for the wildlife enthusiast. 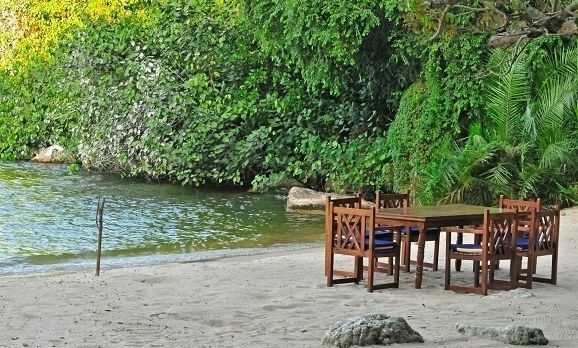 Mwanza, a low-key yet large Tanzanian town, is the perfect base for organizing a trip to the island, and a short flight from the Serengeti takes you straight there. 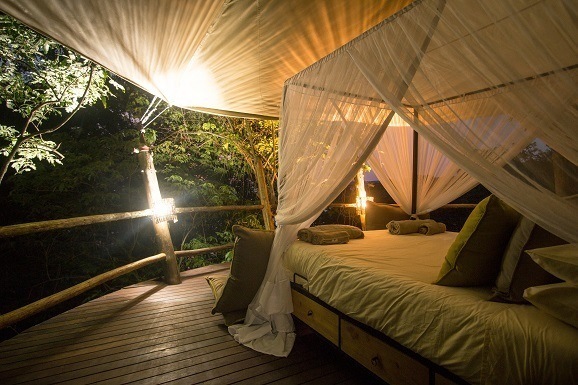 A luxurious treehouse at the exclusive Rubondo Island Camp. Rubondo itself boasts of the exclusive and eco-considerate Rubondo Island Camp, with a few cottages constructed with local materials, and a plethora of activities to keep travelers busy for days! Operated by Asilia, the camp also has tents and luxurious tree houses with 180 degree views across the forest and lake, a swimming pool, an elegant dining area, and beautiful lounges that offer stunning views of the surroundings. Forest Walks, Game Drives & Boat Rides: You can choose to go on a day excursion in an open top vehicle to the interiors of the island, or choose to take a boat ride in the deep waters of Victoria Lake. Forest walks, which can be as short as an hour or arranged for a few days with overnight stays in fly camps by the beach or in elevated ramps in the forest, offer a rare glimpse into the island’s flora and fauna. Canoe rides by yourself or with a guide are a great way to explore the quieter and secluded side of the island. Elephants roam freely through the expanse of the island. The Chimp Experience: One of the most sought-after activities on Rubondo is a hike on the trail of the elusive chimpanzee, escorted by experts. Although the chimps themselves are rather shy and only a lucky few see them for long durations, the walk is a great way to learn more about the animals, their rehabilitation, and way of life. 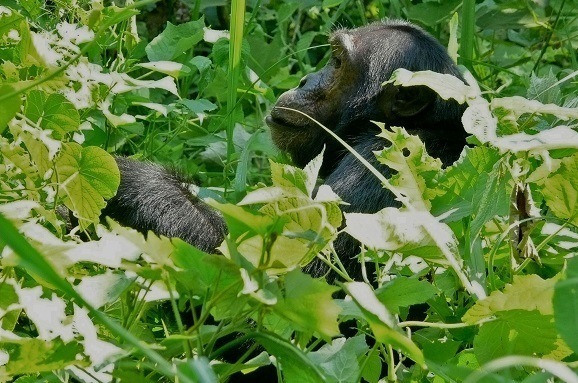 Chimpanzee sightings, although rare, are one of the main attractions at Rubondo Island. Fishing: Rubondo is the perfect destination for anglers, as it is in the midst of the impressive Lake Victoria. The waters around the island abound in the iconic Nile Perch – a prize-catch for fishing enthusiasts as these can weigh up to 100 kgs! Tilapia is also found here. One of the better aspects of the island, in line with the philosophy of eco-considerate operations, is the concept of catch-and-release fishing: anglers can indulge in their favourite activity whilst preserving the fish! Birdwatching: During the months of December to February, thousands of birds fly to Rubondo Island! This is also a time to watch out for the beautiful wild orchids that bloom abundantly all over the island. Rubondo island is a bird lovers’ paradise. Hauntingly beautiful and wonderfully undisturbed, this is truly an eco-considerate wildlife experience. Asilia has had a strong impact in the growth and sustenance of natural habitats in Tanzania, Zanzibar and Kenya, since its inception in 2004. 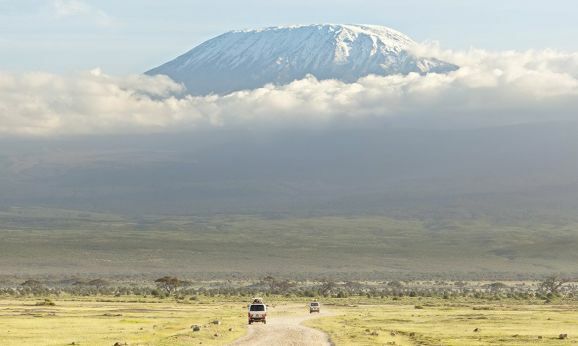 Asilia offers luxurious eco-tours safaris in previously uncharted territories and works to conserve nature and natural resources at the same time. 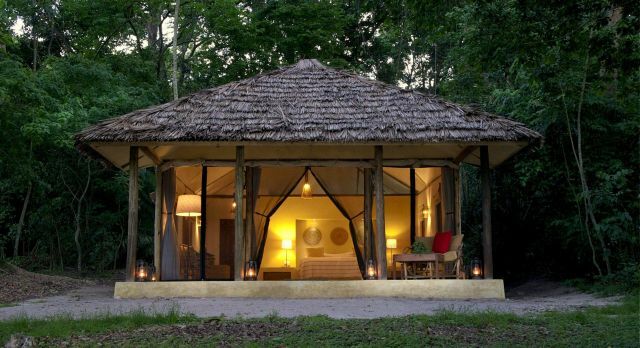 The luxurious Rubondo Island Camp, operated by Asilia, first opened its doors in 2012. Think you’ve seen it all? Wait till you get to Rubondo Island on one of our Africa tours – it’s where the wild things are! Click here to design your private trip to this virgin island paradise in Africa.